World’s first VR all in one product which can be mass produced. It is the most popular VR device in Alibaba laboratory. And it has independent CPU and GPU. With ARM’s and Samsung’s help, we have ability to optimize the performance in M2. 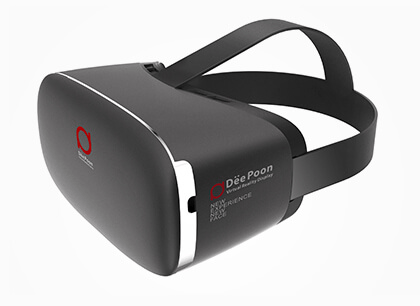 DPVR All-in-one VR Device M2 is development trend and represents the VR device’s final shape. E2 has the best performance in PC virtual reality in China. It uses OLED screen and has 19ms delay, 75HZ refresh rate, 120°viewing angle. So E2-PC VR(E2) can give the best VR experience. E2-PC VR(E2) obtains 68% market share in china since 2015. Almost all the Chinese VR developers have E2-PC VR(E2) to build their own VR games. 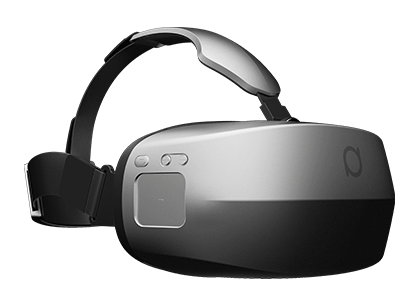 V3 is a VR glasses for VR beginners. DPVR KANKAN(V3) raised 5350000RMB and 46410 backers on hi.taobao.com in 30 days. At the same time, DPVR KANKAN(V3) suits 3DBOBO which is the biggest VR contents app in China. With this app, DPVR KANKAN(V3) can give great experience to customer.